Chicago has enjoyed an outstanding year in opera with its chamber companies producing definitive work, high profile productions on offer with starry casts or an iconic conductor, and both early and modern operas edging out standard canon repertoire in their ability to move the audience. 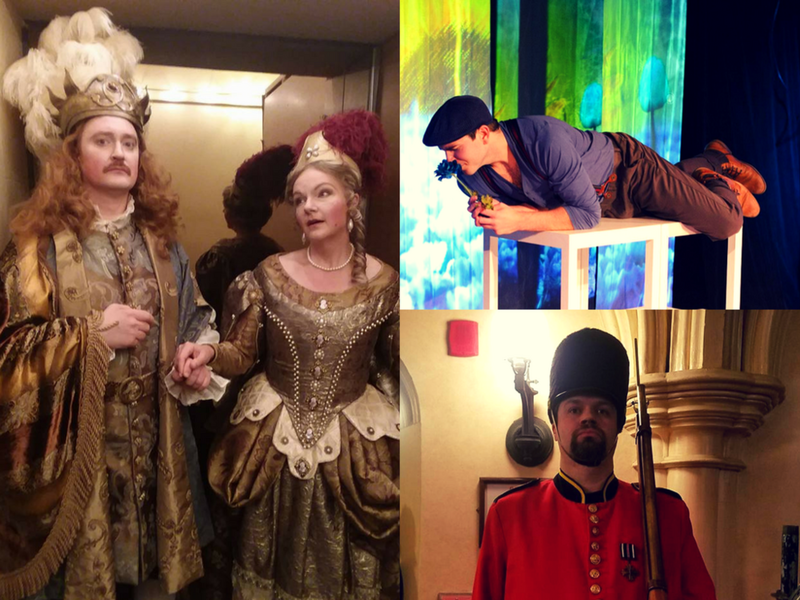 Some takeaways from the year: baroque opera is relevant; being funny in opera is hard; being authentic is harder; a standout performer with a solid technique can overcome the most unflattering acoustics; in Chicago in 2017, it was possible to have a “once-in-a-lifetime” experience in the theater that one is unlikely to forget. 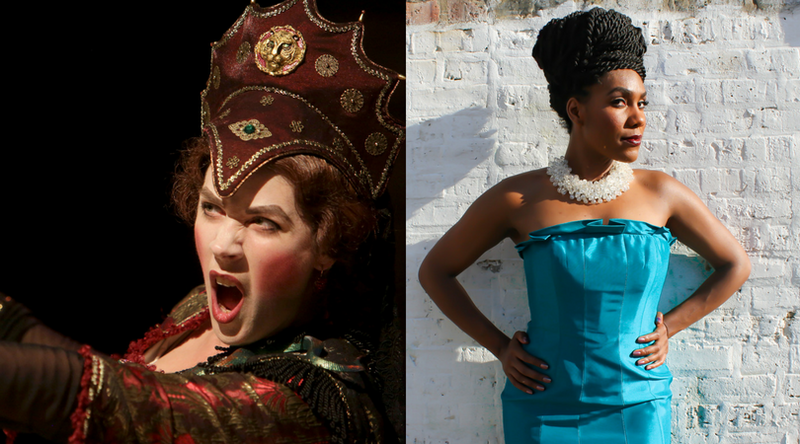 The Editor of Vocal Arts Chicago is pleased to share his favorite performances of the year. TFW a performance is so committed your brain fills in the sets, costumes, and castmates. J’Nai Bridges gave That Feeling singing the Habanera and “Mon cœur s'ouvre à ta voix” with the equally fierce Madeline Slettedahl accompanying her on the piano at the Ryan Opera Center Auditions Finals concert on September 9. Suzanne Lommler held this spot on TEoVAC’s list for her commanding performance (on crutches!) of Arioodante’s “Dopo notte” at Haymarket Opera’s Early Opera Cabaret on May 11 at the Arts Club of Chicago. To make an audience smile, to make them feel light, is an increasingly difficult thing to do at the opera. Of all the new operas being produced, how many of them are comedies, and of those, how many can actually make one laugh? And how many professional singers receive any kind of training in physical comedy or improvisation so that they can prepare a comic role with a working vocabulary of gestures and postures? The Gilbert & Sullivan Opera Company’s Iolanthe on March 10 was hilarious and joyful, featuring excellent comic performances from the entire cast. Their major coup was engaging one of the city’s hardest working singers, bass-baritone David Govertsen, as Private Willis who used his formidable height and authoritative tone quality to great effect. Chicago Fringe Opera was similarly adept in the casting the winning young tenor Toby Wright in their spring production of William Bolcom’s Lucrezia. Wright’s sunny tone and playful stage antics seduced the audience silly. The investment Haymarket Opera has made into baritone Ryan de Ryke is paying dividends as demonstrated by their fall production of Ariane et Bacchus by Marin Marais. One simply needs to put Mr. de Ryke into one of Meriem Bahri’s grand baroque costumes to activate a performance that is irreproachable in its style, timing, and vocalism. Lyric Opera audiences have had the pleasure of following the career trajectory of Illinois-born diva Sondra Radvanovsky since her debut as Carlisle Floyd’s Susannah in 2002. Her Norma, the Mount Everest of soprano roles, at the start of the calendar year felt like a homecoming and a celebration. The mercurial tone bared sharp edges in anger; she floated pianissimi that defied our understanding of breath control; and her ensemble singing demonstrated the character’s empathy. Radvanovsky did not disappoint in an impossible role, nor did she overshadow her colleagues Elizabeth DeShong and Russell Thomas – the mark of a true primadonna. Baritone Jonathan Wilson has been engaged by just about every Chicago-area chamber opera company currently in existence. His appeal has been obvious – boyish good looks, diction clear as day, and a pure, uncomplicated tone quality. Yet there were latent talents which seem to have been fully utilized when Wilson was cast as Hannah Before in Chicago Fringe Opera’s November run of As One. It is difficult to describe Wilson’s physicality and vocalism in this role (a giant range from youthful, to athletic, to insecure, to brave, to terrified) without falling into the trap of assigning certain characteristics to gender. This viewer, experiencing the opera for the first time, at the minimum, learned to accept the scope of possibilities contained in one person. In June, Chicago Folks Operetta made a strong case for Kurt Weill’s 1936 WWI-era pacifist musical Johnny Johnson. Conductor Anthony Barrese assured that the musical integrity was high, despite Stage 773’s challenging acoustic. With a confident and round tone, baritone Maxwell Seifert made a memorable debut in the local chamber opera circuit. But the lasting impression – the beating heart of this show – was left by Gabriel di Gennaro as Johnny. Through wide eyes and brisk steps, Di Gennaro’s Johnny reasoned and reacted to each challenge with an unbreakable spirit. It was a sincere portrayal of a young soldier who believes he can stop a war through acts of kindness, and it was exactly what one needed to see in these cynical times. On June 3rd, Haymarket Opera Summer Opera Course presented an abridged version of Antonio Cesti’s L’Orontea (also their June 2018 mainstage production) narrated by stage director Drew Minter. In its second season, it was fascinating to see what type of singers were seeking the highly specialized training offered by this unique program (17th century performance practice, historical gesture and stage beauty, Feldenkreis, Anne Bogart’s Viewpoints technique, and Italian diction coaching). The cast was rife with impressive young artists including Texas-based Zachary Barba whose sweet, forward-placed tenor is already optimal for Mozart and Bach and may thrive in the high bel canto roles; and Iowa-based Emily Secor whose spicy and rich lyric soprano would be appealing in anything from Monteverdi to Puccini. TEoVAC is forecasting a huge career for counter-tenor Michael Skarke, who is still completing his Bachelor’s degree at Baylor University in Texas. With movie star good looks, an athlete’s physique, a palpable passion for singing, and an exquisite, almost ethereal tone quality that comes as a shock to the listener, Skarke already demonstrates the qualities that are a director’s fantasy. Mustering the most beautiful singing of which one is capable, the best tone and the most judicious use of air, executing one’s phrases as practiced like an ice skater at the Olympics when it counts the most – when the lay audience hears a tune that they recognize, or in the most challenging passages that the aficionados use to compare you to their favorites – is a true feat. 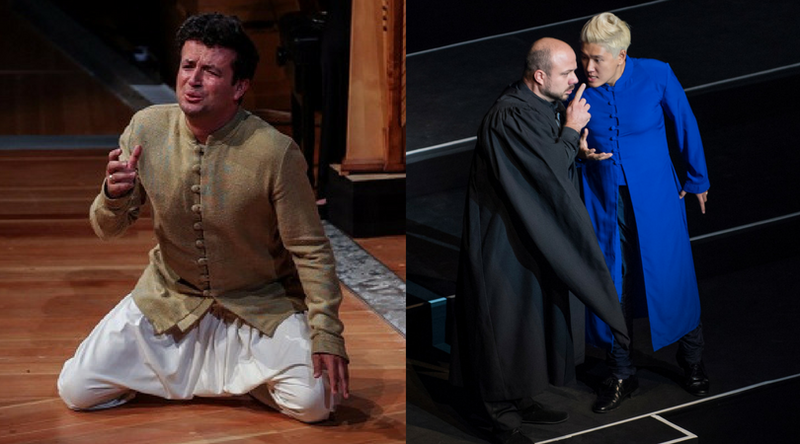 Matthew Polenzani singing “Je crois entendre” in the LOC’s Pearl Fishers, Rosa Feola singing “Caro nome” in LOC’s Rigoletto, and Gianluca Buratto singing Seneca’s death scene in the Coronation of Poppea at the Harris Theater all reached the Editor’s high standard for beauty. Charles Castronovo surpassed this standard at the opening performance of LOC’s Eugene Onegin on February 26. The memory of his “Kuda, kuda” still brings a lump to the throat ten months after being lucky enough to experience it. 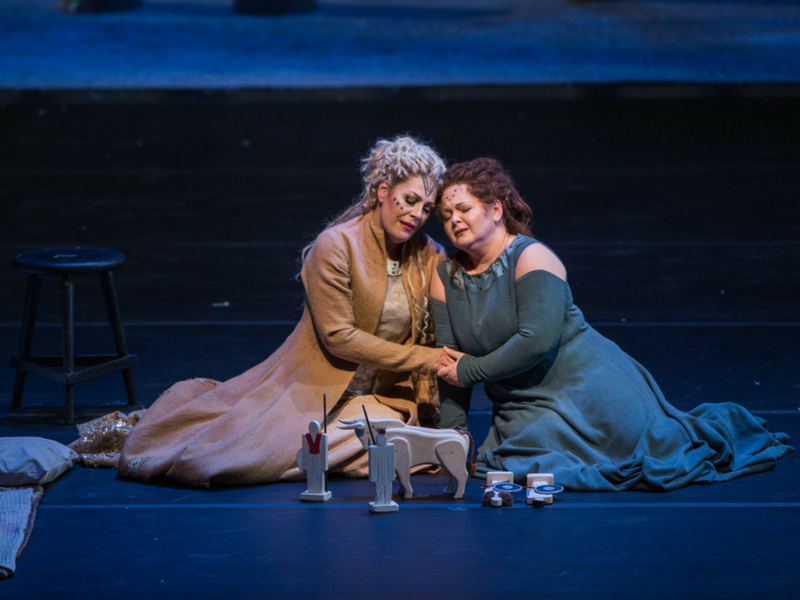 Kathryn Lewek’s Queen of the Night in Lyric Opera's January production of The Magic Flute was easily the best TEoVAC has ever heard and seen the role performed live in half of a lifetime of operagoing. Her’s was everything one wants in a QotN: plaintive, seductive, triumphant, scheming, and furious. With her unassailable technique, all other performances will now be judged against Kathryn Lewek. The most profoundly moving performances of the year can be encapsulated by two scenes that bookend Sir John Eliot Gardiner’s illuminating reading of the Monteverdi trilogy of operas at the Harris Theater in October: Krystian Adam’s pathos filled utterance “Ohime!” as he listened to Lea Desandre describe how Orfeo’s wife was bitten by a snake; and Kangmin Justin Kim’s seething dismissal of Seneca (Gianluca Buratto) in a single violent phrase that seemed to stretch the voice from soprano to baritone. These two moments were gut-punches during scenes that already had the audience on the verge of tears, during performances that were already filled with so much beauty and imagination. Krystian Adam’s Orfeo is the tender poet of our dreams. Justin Kim’s Nero is the compulsive villain of our nightmares. In their performances, and through Monteverdi’s incredible music, we recognize the humanity of both. I couldn’t believe that I witnessed this. I felt as if MY life experiences, MY training as a singer, MY study of early music, MY love of the singing voice prepared ME so that I could fully receive, fully appreciate what was happening on that stage. And then I dared to looked around the auditorium and saw that I wasn’t alone. This is why we go to the opera.